Discreet Flat is a dark Cinnamon theme. It aims to get the best out of flat design without harming usability. I want to create the theme that fits me perfectly, maybe it will fit you too? If not, let me know why! Install Stylus, then use the command below to generate the CSS. Please do not edit cinnamon.css manually. Unfortunately I'm just a desktop user, no Java skills here! Here's my Mega link to your current Discreet-Flat 05/26/18 theme with line #92 in cinnamon.css edited with "background-color: rgba(175,175,175,0.00);" which makes the panel transparent: https://mega.nz/#!GNxTUJ5Y!SAmoiGbIGV5gPlBeYJAhqc8ltxoZPgyRzGZyykB53tc Check it out, I love it. 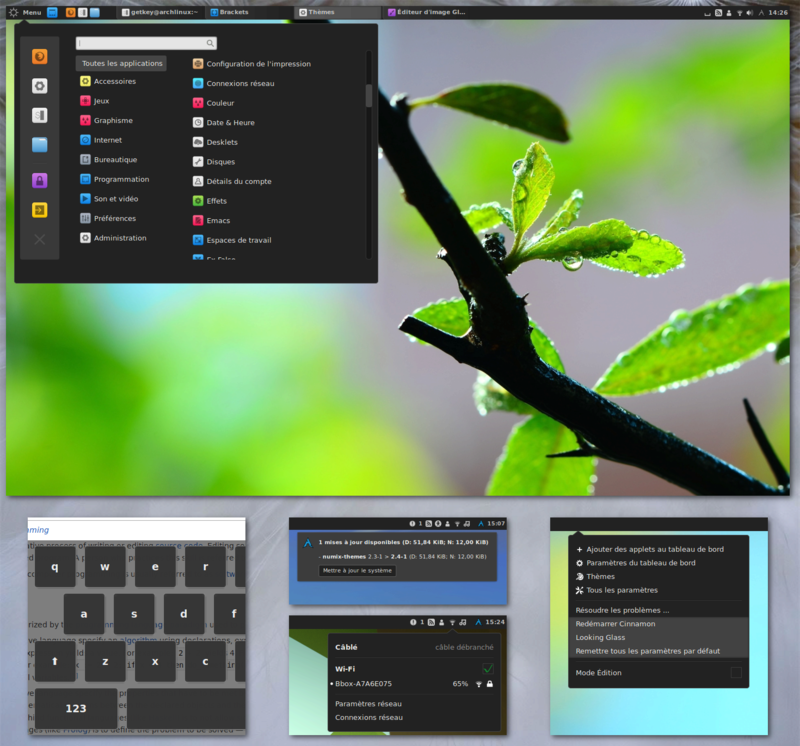 The first time I used XFCE where you can make the panel transparent right in the panel-settings, I became hooked on the transparent panel look.